Rick's Pocono Blog: Settle In At Your Favorite Pocono Resort! Pocono Resorts are a huge part of the Beautiful Pocono Mountains. The Poconos is known for its Magnificent Mountainsides, Lakes, Streams, Wildlife, Gamelands, and Nature. The Poconos isn't just for the Summer time! There is a New Wave of fun storming through the Mountain that brings a more Modern Spice to things. The Poconos is home to 2 Major Casinos ( Mt Airy Casino & Mohegan Sun) that host Table Games, Slot Machines, Bars, Restaurants, Live Music, Hotels, and so much more. Mt Airy is a 5 Diamond Casino! It is one of the nicest in Northeastern America. Splash your way into the Great Wolf Lodge holding an Awesome Waterpark and other fun events for the entire family to enjoy together. Pools and Waterpark fun for everyone! Don't forget about the Top Notch Ski Resorts in the Poconos! The Heart and Soul of the Poconos are the Magnificent Ski Resorts that include Ski Resort Housing, Skiing, Snowboarding, Snow Tubing, Lodges, Restaurants, Terrain Parks, and so much more! Pocono Resort - There is something at the finest Pocono Resorts to please everyone! There are numerous Activities and Festivities that go on at Beautiful Split Rock Resort that include the following- an indoor waterpark, 27 holes of championship golf, 18 hole miniature golf course, 2 indoor pools, 1 outdoor pool, swimming lagoon, 3 indoor tennis courts and 8 outdoor (6 clay and 2 all-weather) courts, racquetball, archery, bocci ball, shuffleboard, softball, volleyball, fully equipped fitness center, massage center, whirlpools, steam rooms, video arcade, billiards room, 8 lane bowling alley, movie theater, gift shop, video rentals, fishing, and paddle boats all on site. 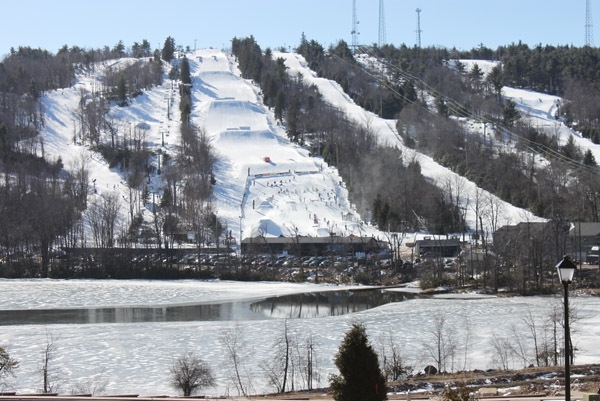 For The Skiiers and Winter Sports Enthusiasts, there is a Pocono Resort on the Mountain Awaiting You!